free flights | Badudets Everything Nice! Do you know who is my favorite travel buddy aside from my husband? It’s MasterCard! First of all, MasterCard takes me to places because this is what I always use when booking online. And when it’s shopping time especially in Hong Kong (next week! ), MasterCard is also my shopping buddy. Now here’s some good news. MasterCard gives you a chance to fly to the destination of your choice with the “Dream Destinations. 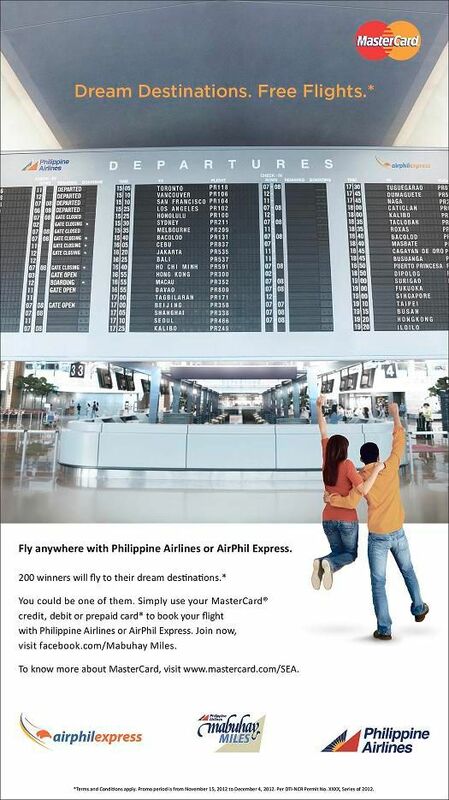 Free Flights.” Promotion, in partnership with Philippine Airlines and AirPhil Express.